If you think that feature phones are a thing of the past, you’re wrong. A new industry report by Counterpoint Research has revealed that the handsets are on a rise for the fourth consecutive quarter. More importantly, feature phones have achieved the feat at a time when smartphone sales are weakening. As per the report, there has been an increase in the shipment (23 percent to be exact) of numeric keypad devices in Q3 2018 and remains a sizable market. Global data compiled by the firm showed that iTel and HMD Global – the license holder to make and sell Nokia phones – were market leaders during the quarter. Both registered a share of 14 percent each, followed by JioPhones with 11 percent and Samsung with 8 percent. The reason behind the increase is said to be the low-selling cost of the devices, along with durability and other nifty features. 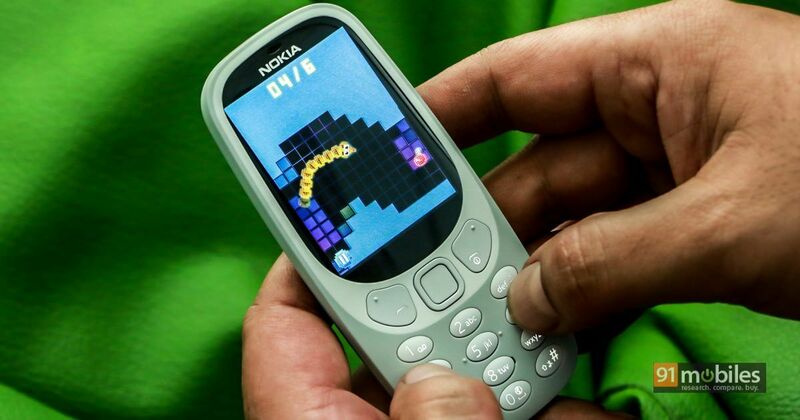 “Feature phones will remain relevant for at least the next five years. Like smartphones, feature phones are also upgrading from 2G to 3G and now 4G phones. Applications and facilities which were only a part of smartphones are trickling down to feature phones as well. It will continue to do so as more operators and OEMs try to monetize from the sizable feature phone base,” Counterpoint research said in its report. The Middle East & Asia (MEA) region accounted for a big portion of the total feature phones shipment. The sale in the market reportedly shot up 32 percent. Shipment in the market along with India reported more than 70 percent of the total figure. The minuscule demand from developed countries such as America and Europe also contributed to the sales figure. Furthermore, the research data analyst pointed out two major reasons for the increase in feature phone sales: Battery life and Sizable user base. The battery is one of the most important prospects for a user while investing on a device, and feature phones don’t fail here. They offer a long-lasting battery life that doesn’t drain out that fast. Secondly, the devices are also used as a secondary phone, and not so tech savvy people prefer a feature phone. Ashish is one of the youngest members of 91mobiles, and a recent tech geek convert. When he's not churning out articles, you’ll find him watching sports or binging TV shows. He listens to John Mayer when beating Delhi traffic. Samsung Galaxy A70 vs Vivo V15 Pro: which one should you go for in the sub-Rs 30k segment?